Main Characters: A bear, a rabbit, a pointed red hat and several woodland characters. 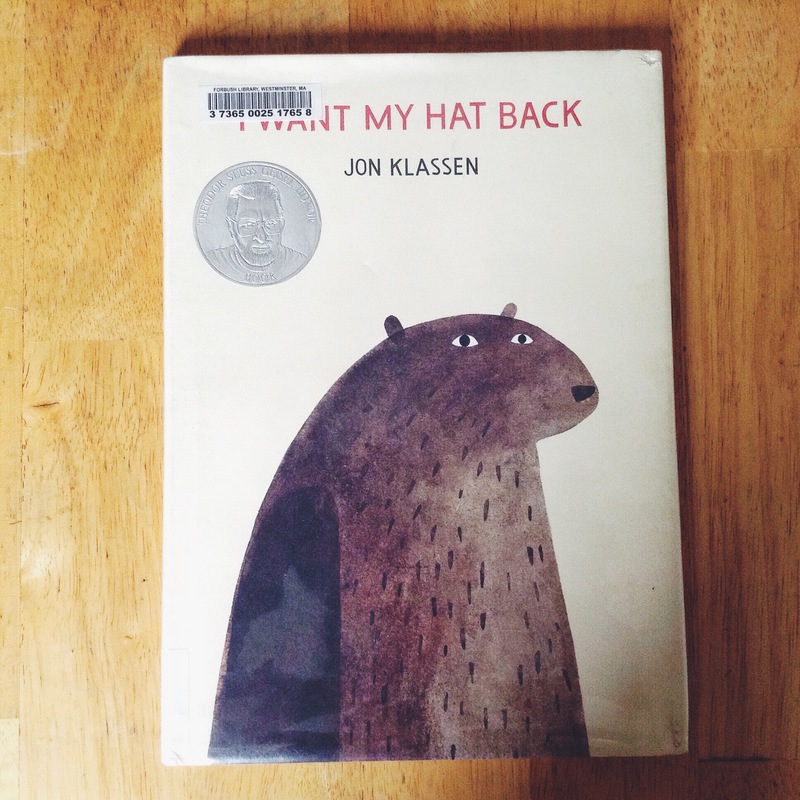 Short Synopsis of the Story: A bear has lost his hat. He politely asks several woodland creatures that he passes whether they have seen his hat or not. One particular woodland character, a rabbit (wearing a pointed red hat) rather strongly denies that he has stolen the hat and quickly dismisses the bear. Later on the bear rather sadly lies down on the ground and worries he may never see his hat again. One woodland creature comes up to him and asks him what the hat looks like. The bear says it is red and pointed and only then is struck with the thought that he has seen the hat recently on someones’s head! He travels back to the rabbit and accuses him of stealing the hat. Next we see the bear sitting down with the hat back on his head. A passing squirrel asks the bear if he has seen a rabbit. The bear protests very loudly that he has neither seen nor eaten a rabbit. He asks the squirrel not to ask him anymore questions.